It can never be said enough: the terminal is a very powerful tool, and is probably the most interesting part of Unix systems. Among the vastness of useful commands and scripts that you can use and make your work easier, some seem to be less practical, if not completely useless. I've selected a couple of commands that are useless because they are quite funny, yet not funny because they are useless (or maybe the other way around?). 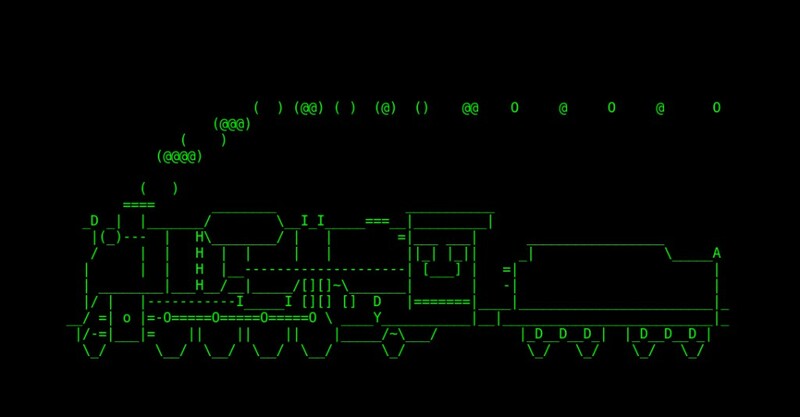 If you are searching for ASCII art, random math curiosities, or various (in)utilities, this is the best of the useless. This post is based on Debian commands. If you use another distro, please adjust your commands appropriately. - -a : An accident seems to happen. You'll feel pity for people who cry for help. - -l : shows little one. - -F : It flies. - -e : Allow interrupt by Ctrl+C. As a side note, prime numbers and the decomposition into prime factors is actually the basis for modern cryptography and Internet security. Knowing a little bit about them is always interesting. If you want to learn more, take a look at the RSA encryption. The terminal will display the multiplication table, nicely ordered in columns. Incredibly useless, and pretty long to remember, but you have to admit that it looks good. This combination of commands is a little bit harder to understand, but if you really want to know, seqgenerates the sequence of 4/1, 4/3, 4/4 until 4/99999 (without 4/2), paste merges these lines using a delimiter, and bc does the final approximation using a math library. More examples on how to incorporate figlet into a more useful usage, can be found on Mewbies. More examples on how to incorporate cowsay into a more useful usage, can be found on Mewbies. It comes with a very handy option: -s (for short), which will limit to fortunes composed of one sentence or less. BOO! We changed Coke again! BLEAH! BLEAH! More examples on how to incorporate fortune into a more useful usage, can be found on Mewbies. Again, for more examples head to Mewbies and enjoy!